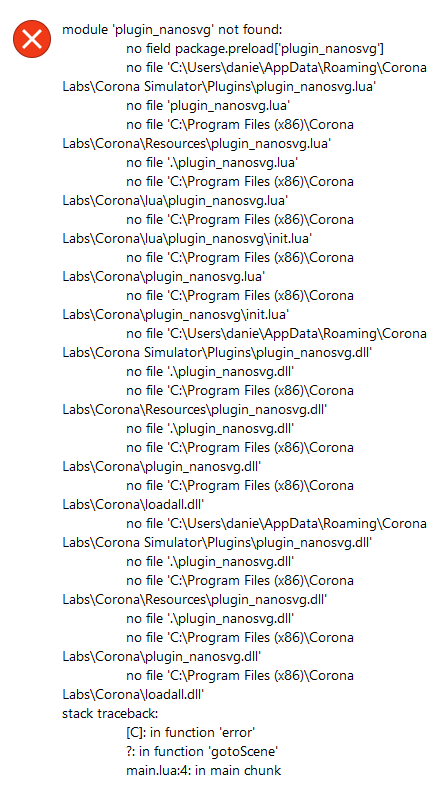 I also get a warning in the console "plugin.nanosvg is not configured in build.settings", which immediately precedes the runtime error. This is my first time using a plugin so I'm not sure if I'm missing anything, but I also couldn't find much information about installing or using plugins on the documentation. Can you post your entire build.settings? I don't know why but it just suddenly resolved itself without me changing anything. Thanks.